Imagine homes that are carved and built into the unyielding rock of steep Mediterranean hillsides. They are as much of things of wonder as of beauty. 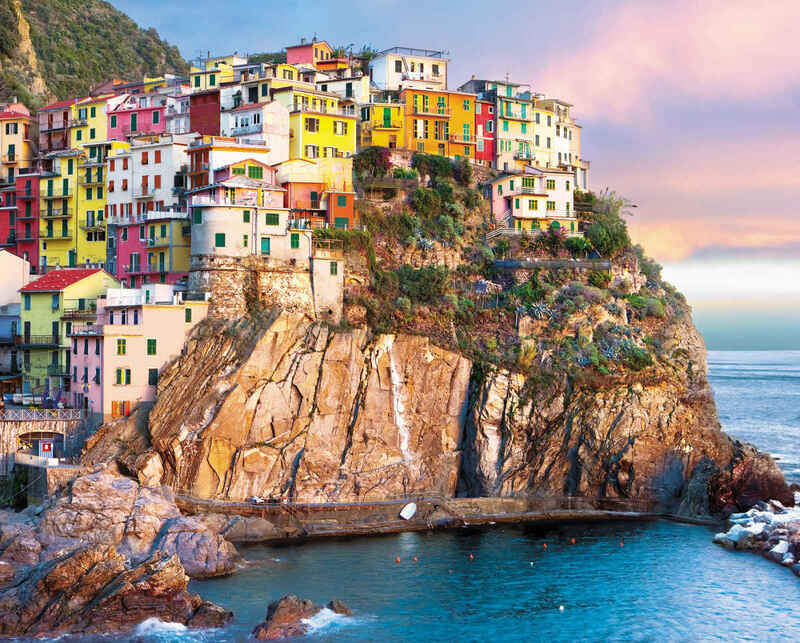 This puzzle captures both, from the view of these brightly painted hillside dwellings to the rich blues and romantic pastels of the surrounding sea and sky. This scene is stunning! I've done a few Springboks, and this one is my favorite. The unique shapes of these pieces and how well they fit together make it a joy to put together too! Enjoyed every piece. Not the easiest and certainly not the hardest puzzle. A nice balance and makes for a wistful daydreaming session when it’s complete. Enjoy!! Just completed this one! Not sure where it is, but reminded us of our trip to Italy. Very challenging, but not frustratingly so- just enough. Very pretty as well. Took this puzzle with me on a 3 week holiday to the Croatia coast. Finished it after a leisurely 9 days in the evenings. My mother poked fun at me for doing a puzzle but ended up helping at the end. I left the sky for last. That was tough. Anyhoo it will be framed and put in the guest room in the vacation house.